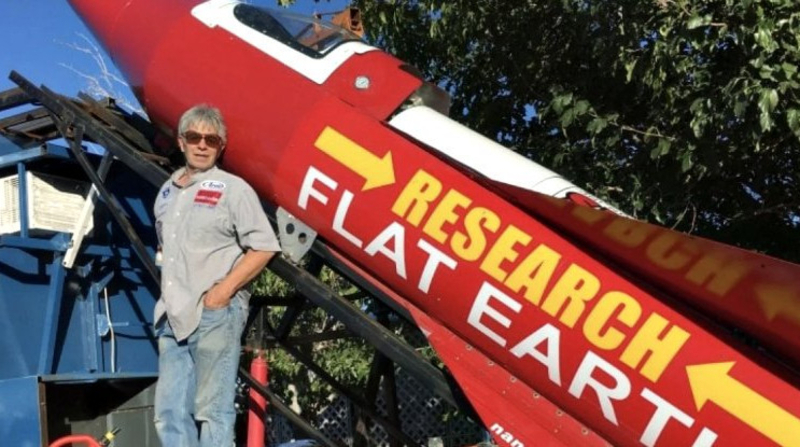 AKIPRESS.COM - A self-taught rocket scientist in the United States will launch himself up to the sky with a homemade rocket in a bid to prove the Earth is flat, local media reported. Mike Hughes, a 61-year-old limousine driver, plans to fly on Saturday a steam-powered rocket he built from scrap metal in his garage above the Mojave Desert in Southern California. The rocket will travel at a speed of around 500 miles (804 km) per hour and reach 1,800 feet (167 m) high, Hughes claimed, adding that the one-mile-long (1.6-km-long) flight will be streamed online. The ultimate goal for the man is to build a rocket that can take him to the space, where he can get a photograph proving the Earth is flat. The man, dubbed "Mad Mike Hughes", completed his first manned rocket flight in 2014 and traveled a quarter mile (0.4 km) over Winkelman, Arizona. "Flat Earth" theorists like Hughes contend that the Earth is a disk, not a globe, criticizing "conspiracy" of astronauts to fabricate the shape of the Earth.